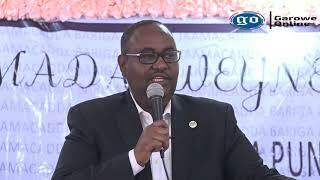 BOSASO, Puntland - Dahabshiil, the largest money transfer company in Somalia has vehemently denied claims by a member of Puntland parliament named Sadiq Abshir Garad, Garowe Online reports. 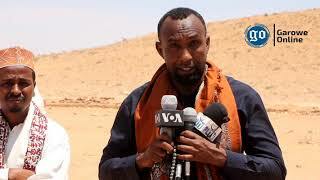 Speaking to the media at his office on Sunday, the manager of the firm's branch in Bosaso, Yasin Beldaje dismissed the accusations of the MP that Dabanshiil supports Somaliland in the war with Puntland as "baseless". Beldaje said Dahabshiil is a licensed leading private remittance company operating in 144 countries around the globe with no political influence, which serves for the people of Somalia in and outside the country. He called on Parliamentary Ethics Committee to strip the lawmaker of his immunity and arraigned in court for the incitement and call to loot the private company. "The the claims of the legislator is categorically contrary to the state constitution, hence he should be stripped of his immunity and brought before a court," said Beldaje during the press conference. 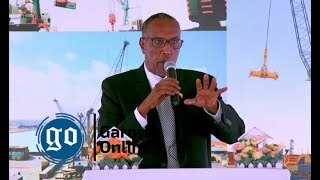 Garad who is the chairman of the defence committee of the parliament blamed the firm for giving financial support for Somaliland which is now at war with Puntland over the disputed northern regions. 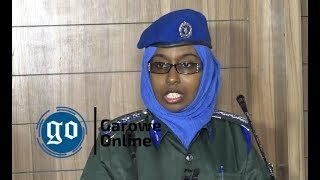 It's not yet clear what would be the response of the parliament to the statement of Garad who is said to be hailing from Sool and Sanaag regions, the epicentre of the territorial dispute between Somaliland and Puntland. 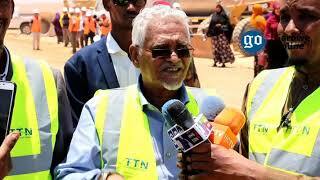 The accusation of the parliamentarian against the private cash transfer company which is owned by a Somaliland businessman comes amid a brewing tension in Tukaraq village.